Richard Bradshaw is an experienced tester, consultant and generally a friendly guy. He shares his passion for testing through consulting, training and public speaking on topics related to testing. He’s a fan of automation that supports testing. With over 10 years’ testing experience, he has a lot of insights into the world of testing and software development. Richard is a very active member of the testing community and is currently the FriendlyBoss at the Ministry of Testing. 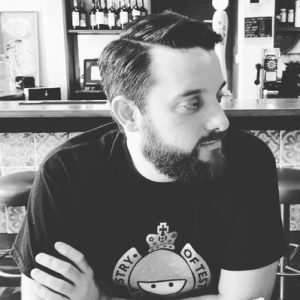 Richard blogs at https://thefriendlytester.co.uk and tweets as @FriendlyTester. He is also the creator of the YouTube channel, Whiteboard Testing. He can often be found in the bar, with a beer in hand, discussing testing.